Part of the lecture for my upcoming lecture-recital of John Cage’s Sonatas and Interludes will discuss the path Cage took from his beginnings in percussion to explorations into Eastern aesthetics. Cage’s early period is bookended by these two important influences and nestled right in the middle of this period is one of the greatest works for solo piano in the 20th century— the Sonatas and Interludes for prepared piano. Somewhat as a passing observation, it is often explained that Cage modeled his Sonatas and Interludes off of the sonatas of Scarlatti, the baroque harpsichord composer who penned 555 of them. Delving a little deeper into Cage’s own unique rhythmic structures shows a more significant relationship. In the case of both composers, the sonatas are short in duration and binary, for the most part (there are some exceptions). This binary form also has repeats for each half of the sonata. On the surface, that’s where the similarities end, but it is how Cage employs this form to extend the use of his rhythmic structures that is remarkable. This rhythmic structure was described by Cage as a micro-macrocosmic structure. This basically means that, on a rhythmic level, the whole of the piece relates to that of its parts. For instance in the Sonata V, Cage uses 9-bar units to structure the sonata. There are a total of nine 9-bar units. The Sonata V is probably the most approachable sonata to look at from this perspective, as the other sonatas have greater complexity in this regard. Take a look at the example below. Cage Sonata V showing 9-bar units. 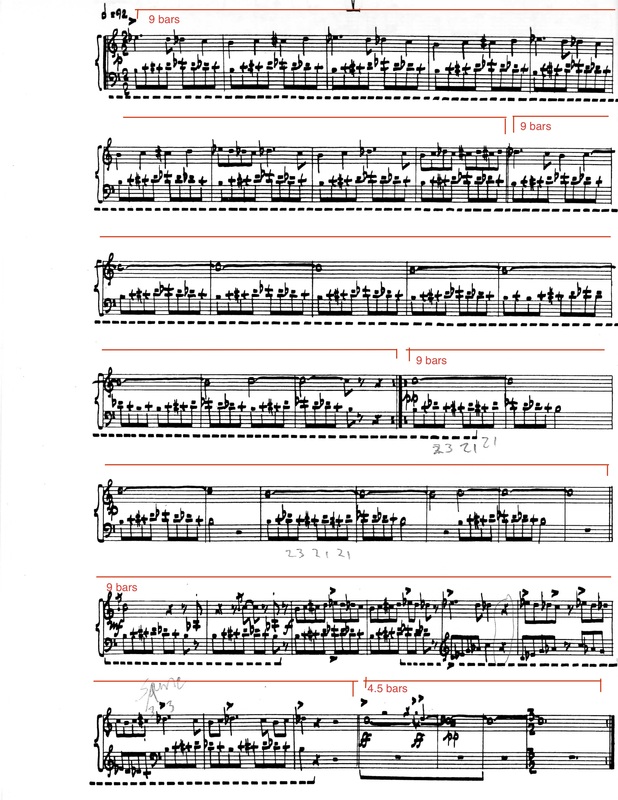 For the first half of Sonata V there are two 9-bar phrases, which I’ve marked in red, and for the second half there are two full 9-bar phrases as well. But the second half also includes a 4.5-bar unit (if you divide up the 3/2 bar). This means the whole piece has 4.5 9-bar units, but Cage makes use of Scarlatti’s binary form and with the repeats, this doubles our 4.5-bar units creating Cage’s micro-macrocosmic rhythmic structure. Therefore there is a total of nine 9-bar units in Sonata V.
Now an important point of interest here is Cage’s reliance on a rhythmic structure. This stems from his background in percussion and his avoidance of harmony. What better way to structure percussion music than through rhythm itself? after all, once the piano is prepared, this music cannot rely on harmony as a structure. This is the biggest departure from Scarlatti, his binary form was structured very clearly on harmony with an obsessive tonic-dominant-tonic glue holding it together. It is also important to point out that all Cage’s sonatas used a different unit length, some of which used fractions, i.e. 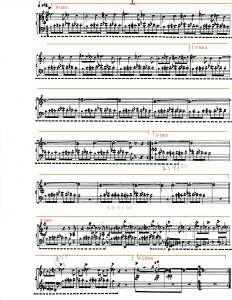 7.75-length units, which makes for very complex rhythms, much more so than Sonata V. The rhythms in these pieces were brought to a whole new level of complexity that had yet to be seen in music. It is interesting to trace this micro-macrocosmic structure from Cage’s beginnings in percussion to the structure’s slide into Eastern aesthetics. 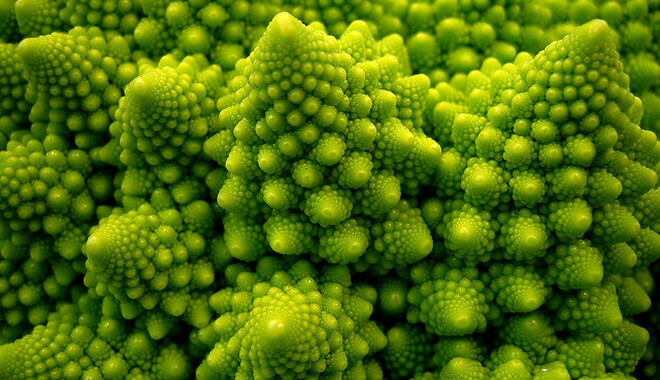 Like a fractal, this structure is found everywhere in nature, such as leaves, snowflakes, and peacock feathers. This structure became even more purposeful because as Cage was wrapping up composing his Sonatas and Interludes he was also studying Indian aesthetics with Ananda Coomaraswamy, author of Transformation of Nature in Art. Though Coomaraswamy’s ideas drastically shaped Cage’s music after the Sonatas and Interludes into his music of chance, these ideas also were a perfect fit for his micro-macrocosmic structure— inseparability of nature and art with a fractal-based rhythmic structure. I recorded Sonata V from my home as well as Scarlatti’s Sonata in G K.146. Please compare and enjoy! Well written and fantastic playing ! Would love to have heard the entire lecture-recital. Thanks James. The entire lecture recital is up on YouTube.